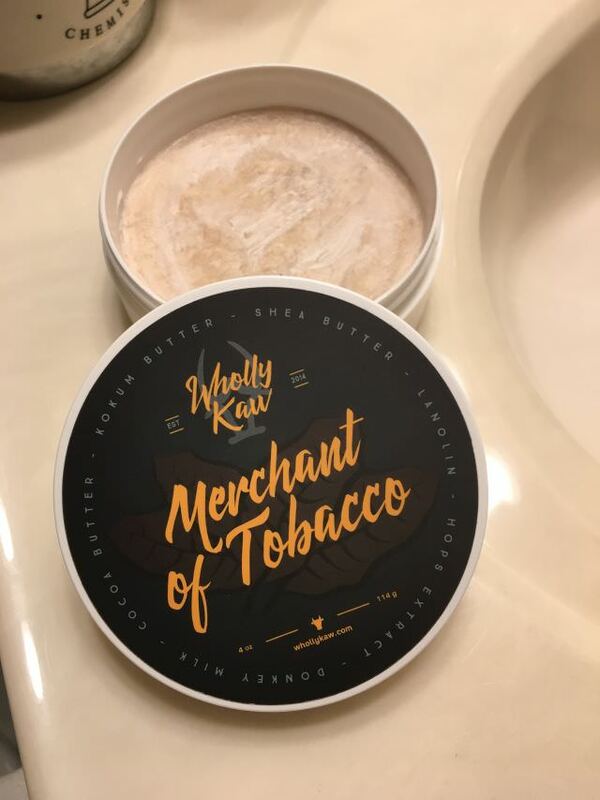 I recently acquired this tub of Wholly Kaw Merchant of Tobacco. The scent isn't agreeable to my wifemate. She said it has to go to a new home. I paid $16 plus $3 shipping. I'll take the loss and sell it for $17.50 shipped in a padded envelope to US50. Still for sale. Will consider trades as well. You didnt get the splash as well by chance?